Manafort began working for Trump in March and resigned in August, after helping Trump to secure the Republican nomination. WASHINGTON: The White House today played down Donald Trump's links with former campaign chair Paul Manafort, whose ties with Russia have come under the spotlight. 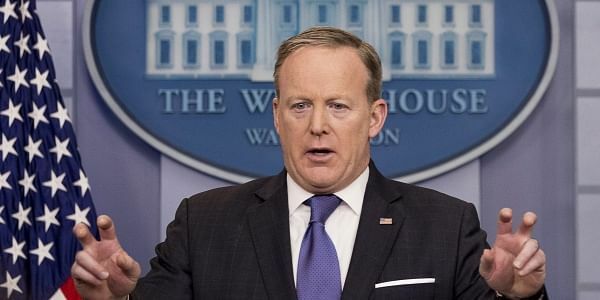 White House press secretary Sean Spicer said Manafort, who led Trump's successful 2016 bid for the Republican presidential nomination "played a very limited role for a very limited amount of time." Manafort began working for Trump in March and resigned in August, after helping Trump to secure the Republican nomination. Manafort is one of several Trump aides whose ties to Russia have come under scrutiny amid an ongoing FBI counterespionage investigation into contacts between the campaign and Russia. FBI Director James Comey confirmed for the first time Monday that the agency is investigating both Russian interference in last year's presidential election and Moscow's possible collusion with the Trump campaign. The White House on Monday denied allegations of collusion.